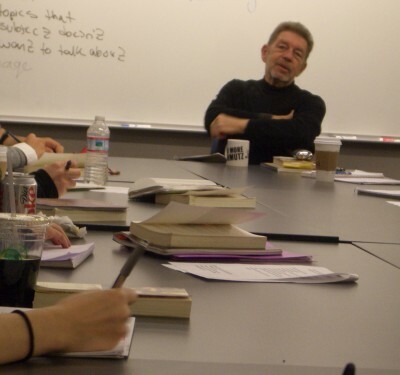 Pete Hamill and my NYU class had such a good conversation on Thursday that I’m still thinking about it. Pete, who is 73, showed up very dapper in head-to-toe black — from the turtleneck and slacks to the dress boots. It was a good look for NYU’s state-of-the-art Cooper Square journalism building in the hipster East Village. For 90 minutes, he sat patiently with 11 of my curious, 20-something students. They had a lot of questions. Pete’s a distinguished writer in residence at the journalism department, where I teach an undergraduate beat reporting class. I make his memoir, “Downtown: My Manhattan,” required reading. Even though “downtown” usually means you’re south of 14th Street, his definition has him wandering up to 42nd Street as he covers city history and shares warm memories about being the Brooklyn-born son of Irish immigrants. He served in the Navy and afterwards, attended college on the G.I. bill. Pete majored in painting at a school in Mexico, returned to work as a graphic artist in Manhattan — and became a newspaperman who writes novels and non-fiction. Our little group got pretty cozy as Pete explained how he used his painting teacher’s advice to learn his craft as a writer: Imitate, emulate, equal, surpass. One student asked how he could be an alcoholic and still write — material explored in his best-selling memoir, “A Drinking Life.” (He only imbibed after filing his stories; work came first. He’s been sober for decades.) Another student wondered who his favorite interview was. Answer: Jazz drumming great Max Roach. At one point, Pete riffed about music as the highest art form — no one expected him to say that! Pete was on a book tour in Japan when he was interviewed by his future second wife, Fukiko Aoki, a Japanese journalist. After their meeting, he mumbled the usual blah-blah about her looking him up if she was ever in New York. When she relocated to the city, she actually did. Which had him hoping for an out-of-town assignment. “Like a war in Lebanon,” he joked. He waited 15 years before remarrying because he didn’t feel it was fair to to ask a new wife to help him raise his kids. As a divorced, former newspaperwoman myself, I could relate. Suddenly, I had a question too: How’d he know that his second wife was The One? He thought about that. “She was a grown-up,” he said. She was also a writer (but they don’t edit each other’s work because she writes in Japanese). Plus, she has a sense of humor. Hmmm. Last thought: Pete had great stuff to say about developing creative potential. He suggests putting all your energy into one thing. Throwing himself into writing was another reason for laying off the alcohol. “I wanted to see how big my talent was,” he said, and booze was interfering. Once we said our goodbyes and Pete was out of earshot, the class debriefed. They loved hearing about his writing process. Others remarked on the valuable relationship advice. “He’s like the grandfather I wish I had!” said one student as heads nodded around the room. Pete Hamill is coming to Cleveland on April 26, 2011. I’m looking forward to seeing what he will talk about. He is part of the 2010-2011 Writers Center Stage program, which is the Cuyahoga County Public Library Foundation’s signature fundraising event. Hello. I’m trying to reach Mr. Pete Hamill. I’m a freelance journalist in Houston, Texas, working on a documentary about Soul Alley, which was mentioned in Mr. Hamill’s Vanity Fair article, Vietnam, Vietnam. 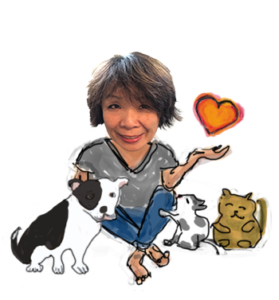 I will be in Saigon this July 16-24 conducting research, and interviewing four Amerasian’s in their late 40’s. Would love to chat with Mr. Hamill about his knowledge, and resources, relating to Soul Alley. Thanks so much and looking forward to your response. Hi Ted, I haven’t talked to Pete in ages. But you can look him up at the NYU journalism dept. There should be an email address for him there. Good luck!